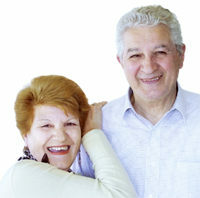 Term Life Insurance for Seniors & the Elderly - Ages 60, 65, 70, 75 - Cheap Quotes and Rates. Just because you are retired and up in the years, it doesn't mean you can't get affordable life insurance coverage. Seniors and Elderly Persons Can Still Buy Life Insurance! It used to be that buying life insurance for an elderly person (senior) was next to impossible, well... the times have changed, and now getting a policy issued for seniors is not that difficult or expensive. See if you qualify! Risk factors are also critical - do you smoke, drink heavily, are obese or overweight, have diabetes, have heart disease, etc. Do you take part in dangerous activities, like sky diving, scuba diving, race car driving, etc. Probably not, but you never know - some elderly folks are very adventurous. Click Here To Obtain Senior Life Insurance Rates! Those who purchase life insurance early in life - e.g. 40s and 50s - have an easier time obtaining a policy during their senior years, plus it will be a lot cheaper and affordable. However, if you had a policy that expired, or coverage through an employer, and you choose not to maintain the policy after retirement, you will encounter some problems. Click Here To Obtain an Instant Senior Life Insurance Quote! A life insurance policy won't be as affordable for someone purchasing insurance at the age of sixty-five (65) or older, as opposed to a younger person . For example, a male non-smoker in the state of Delaware, 5'11", 170 pounds will probably pay between $185.71 and $339.26 per month for $300,000 in coverage for a 15 year term life insurance policy. Those premiums are a little high for an average senior citizen. Even, if the face value decreases to $100,000 the premium will vary from $67 to $122.93. These numbers are based on a non-smoker; those who are smokers are subject to pay a higher premium. It is a good idea to buy or start looking for level term life insurance protection early in life, preferably before reaching the age of forty (40), to avoid paying higher premiums when you become older. This is the time most insurance companies charge higher rates on policies. So, if you want a low cost policy, get your quotes early. Average female senior rates as off 4/8/2019 - your average monthly ins prices will most likely vary. Average male senior rates as off 4/1/2019 - your average monthly premiums will most likely be different. If you are looking to leave your heirs some tax-free money to pay estate taxes, your debts, or to leave them in good financial position, then a larger amount may be needed - $100,000, $250,000, $500,000, 1 million, etc. The best option for seniors and the elderly with no coverage would be to buy a senior term life insurance policy. In general, most insurance companies don't provide level term coverage to seniors for more than 15 years, therefore wouldn't be worth considering whole life insurance or permanent life insurance. Other insurance companies refuse to underwrite policies for anyone over the age of 65 unless it is a conversion policy; even so, some companies have concerns based on a person's age. Don't be discouraged if you've been turned down before, many insurance companies still write policies for people aged 60, 65, 70, 75, and even 80. So, just apply and see if you'll get approved for a cheap policy. You may hear this type of life insurance mentioned by friends and family and on TV ads all the time, what is it you may ask. This type of policy is guaranteed to be issued regardless of your current or past health. You can't be declined coverage. The caveat is, that this type of life insurance offers a much lower death benefit and higher premium costs - trust us, it won't be cheap! It's often used by seniors to cover final expenses like funeral costs, medical bills, pay debts, etc. It is also referred to as "No Medical Life Insurance". Click Here for Seniors Life Insurance Quotes!